Among the most complex and engaging artefacts of early modern Italian culture, Ludovico Ariosto’s Orlando furioso was first published in 1516 and twice revised before its definitive edition in 1532. It emerged from a world that was rapidly expanding on a number of fronts while simultaneously subject to a disastrous breakdown of political, social, and religious certainties. 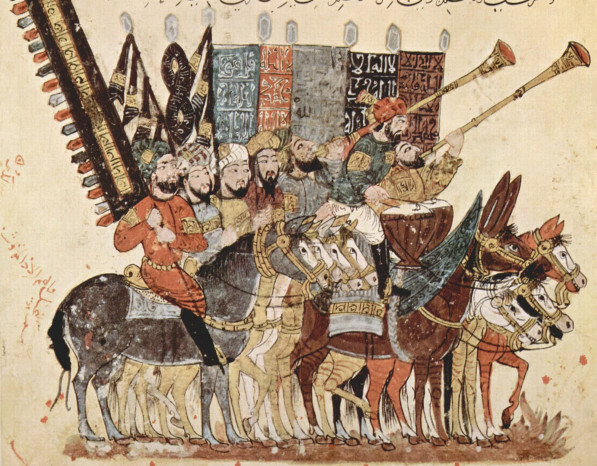 Taking inspiration from Borges’ celebrated poem Ariosto y los Arabes (1960), this interdisciplinary conference will focus on the role of the Muslim world as the essential ‘other’ in Ariosto’s text. Our aim is to investigate the composite political, religious, and linguistic landscape as well as the relational systems that might be reconstructed around the Furioso. In doing so, we want to analyze the various perspectives of its earlier sources, contemporary resonance, and subsequent reception. Ariosto’s poem was situated at the apex of one of the foundational European literary traditions, the chansons de geste that issued from the fictional rout of Charlemagne’s troops at Roncesvalles. This tradition was subsequently grafted onto Crusade narratives and embedded in the histories of the European conflict with the Ottoman empire. Ariosto’s poem thus presents itself as a prism through which to examine the various links in the chain of interactions that characterized the Mediterranean region from late antiquity through the medieval period, into early modernity, and beyond. This conference is open to the public. No registration required.